Hotel Days India International Udaipur, Days India International Hotel Udaipur, Reservation for Hotel Days India International, Udaipur, India. Address: 63, Sardarpura, Udaipur - 313001, Rajasthan, India. Accessibility: 24 kms. from Airport, 4 kms. from Railway Station. 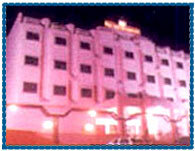 Hotel Days India International Udaipur is located in the heart of Udaipur. 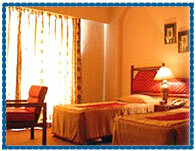 Hotel offers good services to both business class and tourists with emphasis on tourism. Business Center, Fax Service, Meeting Facilities, Photocopy Service, Secretarial Services, Air Conditioned Room, Banquet Facilities, Beauty Parlours for men & women, Bar, Car Parking, Doctor On Call, Laundry Facilities, Money Changer, Restaurant, Room Service - 24-Hour, Safe Deposit, Shopping Arcade, Travel Desk, Swimming pool.